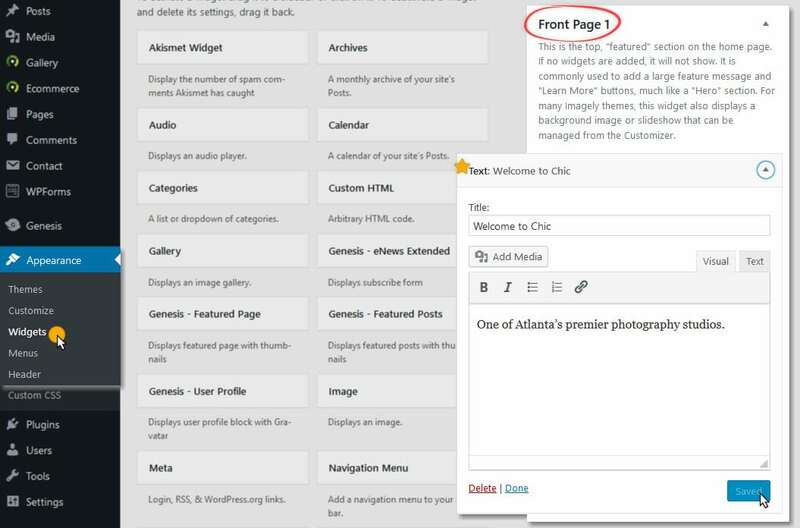 The Front Page 1 widget area in the Chic demo uses one (1) Text widget to display text and a button that, when clicked, allows the visitor to be directed to a custom URL of your choice. Content: The demo includes a single sentence. 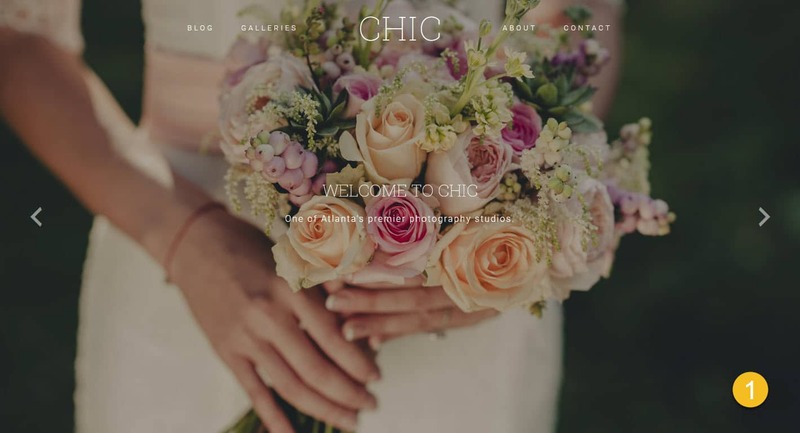 You may add more text and even HTML . One of Atlanta’s premier photography studios.